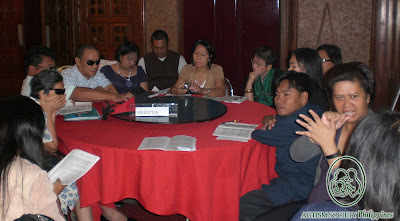 Presidential Human Rights Committee (PHRC) conducted the National Human Rights Forum on the Protection of the Rights of Persons with Disabilities last on April 26 and 27, 2010 with one hundred thirty (130) PWD leaders and parents of children with disabilities attending. In partnership with the Alyansa ng may Kapansanang Pinoy (AKAP-PINOY); Katipunan ng Maykapansanan sa Pilipinas, Inc. (KAMPI), the forum tackled on the Philippine’s National Human Rights Action Plan or NHRAP and discussed on the five key areas of the UN Convention on the Rights of Persons with Disabilities or UNCRPD. 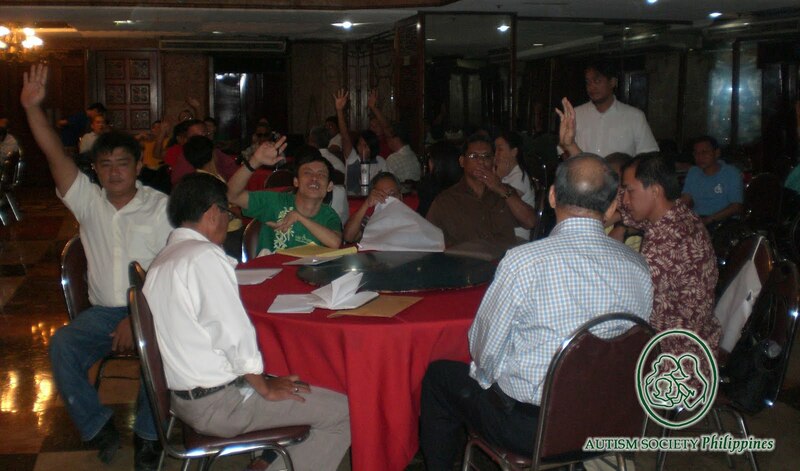 Other representatives from the Sectoral Council Sectoral Council of National Anti-Poverty Commission (NAPC) as well as non-government and parent associations also attended the forum at the Great Eastern Hotel, Quezon City. The forum was the venue for Under Secretary Severo S. Catura, Executive Director of PHRC to inform participants on the NHRAP. Other selected speakers discussed the specific UNCRPD while PWD representatives aired their experiences and insights. On day two, they were divided into five groups, with each group assigned to identify at least three (3) priority areas and concerns on the following UNCRPD Articles on Education, Employment, Health, Access to Political and Civil Rights, and Access to Justice. ASP Executive Director, Ranil Sorongon facilitated the group on the Right to Education. With his group are volunteer documentor, Marie Alonzo of Parents’ Advocate for Visually Impaired Children (PAVIC) and volunteer reporter, Hayden Plizardo, of Puerto Princesa City. 3) Lack of support services and information on education of PWDs. 4) Partner with government and private agencies to implement programs and services for PWDs. As mandated in Republic Act 7277, PWDs will be provided access to quality education whether formal education, special education, vocational or technical and other training programs; assistance. Among the stipulations, it shall be unlawful for any learning institutions to deny a disabled person admission to any course it offers by reason of handicap or disability. The State shall provide financial assistance to economically marginalized but deserving disabled stud ents pursuing post secondary or tertiary education and shall allocate funds necessary for the effective implementation of the special education program nationwide. Click here to know more about PWD Right to Education.